Neither of those ever properly made it to CD, eventhough Romancia, without being mind blowing, contains a handful of nifty melodies by Yuzo Koshiro and Takahito Abe. The PC88 recording was encoded from a .s98 log and contains all the original compositions. 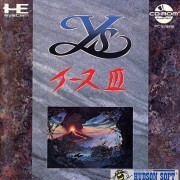 The Famicom one was encoded and edited from a NSF rip, and contains the sometimes surprisingly arranged original compositions as well as the extra tracks by Compile who ported the game. Finally, Another Legend are recordings from the MIDIs extracted from the game .exe. Ported by Unbalance for Windows in 1998, you could play the game in both original and “arranged” mode. Some of the arrange versions are interesting, especially the Castle Romancia one, in my opinion. More unreleased Falcom goodness. 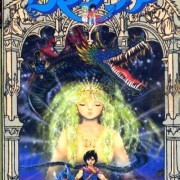 Contained in this archive are PC88 recordings of Xanadu and Xanadu Scenario 2. Original 1985 Xanadu music doesnt do much more than introducing the famous “La Valse pour Xanadu” theme by Toshiya Takahashi. Xanadu Scenario 2, however, raises the bar with many beautiful and catchy melodies by Takahito Abe and Yuzo Koshiro. Bam. There you go. Suddenly you realize there’s Falcom music arranged for DOS Adlib by the composers of Ragnarok Online out there. Oh, and I don’t know about you but I’m also an Adlib fan by the way. So yeah, I just had to get my hands on this. A link to a Korean website containing all the recorded tracks was posted on Seldane’s Ancient Land of Ys, but turned out to be dead. Fortunately, I managed to get them from someone who carefully saved them (thanks again Groenegel <3), and could finally feast my ears on this improbable awesomeness. And here it is delivered to you, faithful *cough* readers. I tagged, renamed and reordered everything according to the usual Ys 2 tracklisting, incorporating SoundTeMP’s work here and there. I didn’t play the game though, so the order probably won’t make sense to those who did (approximately 7 people outside of Korea, that is). edit 04/10/2013: new proper recording by zonx ! Here is one of the few remaining never-released-on-disc Falcom pieces. 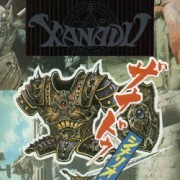 While Revival Xanadu 1 music was published on the Falcom Special Box ’96, Revival Xanadu 2 just never appeared anywhere, eventhough a lot of it’s music are original pieces. What we have here are epically melancholic progressive chiptunes, often quite reminiscent of Brandish. Hope you like them ! Recorded from Hoot’s OPNA set. If you’re familiar with Falcom, you’re probably familiar with the Sorcerian series. If you don’t, Sorcerian was one of Falcom’s early game, ranking 5 in the Dragon Slayer timeline. 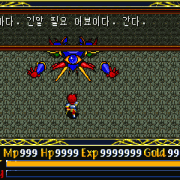 The game was basically divided in several scenarios, and you got to play as one of your typical RPG class, recruiting new members in Pentawa, the main town of the game. Yuzo Koshiro, Mieko Ishikawa and a few others scored this game, and it was a great success. So much that Falcom decided to release additional scenarios to the game. This time, Mieko Ishikawa did all the music by herself. You can find some arrange versions of her work on Sorcerian Super Arrange Vol.2 and Vol.3. Those are actually the only official releases you’ll find music from those titles on. 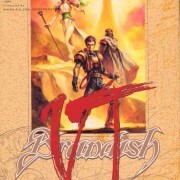 Anyway, Brandish music, while still having that particular Falcom sound, is a lot more melancholic and dark than it’s fellow trademarks. 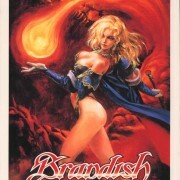 I personally love the resulting atmosphere and melodies, especially in Brandish 1 which got some of my favourite Falcom tunes (oh Mieko Ishikawa <3). Those 2 recordings were given to me by a Japanese guy I met on Last.fm. They sound different from the original soundtracks (different hardware I guess) and are actually looped twice.